nib OSHC has won Canstar’s 2017 Award for Outstanding Value Overseas Student Health Cover. This year, Canstar researched and gave ratings to 5 providers of Overseas Student Health Insurance (OSHC) in Australia. CANSTAR congratulates nib for winning the 2017 CANSTAR Overseas Student Health Cover Award. Find out why they won below. For the second year in a row, nib OSHC has won this year’s CANSTAR Award for Outstanding Value Overseas Student Health Cover (OSHC). Their win is driven by their strong performance for single students visiting Australia. nib were market leaders for 4-year and 5-year OSHC policy terms, and they were close runners-up in the 1-year, 2-year, and 3-year OSHC policy terms for singles. 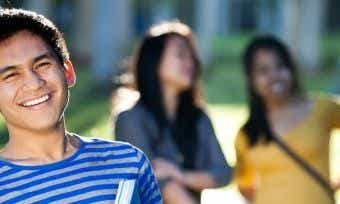 OSHC is different from health insurance for other visitors to Australia in that the premiums must be paid in advance for the entire length of a student’s visa. This means that if a person was coming to Australia to study for 4 years, they would need to pay for 4 years’ worth of cover before they arrived in Australia. They pay 100% of the public rate when you go to a public hospital. They pay 100% of the Medicare (public health) fee if you are in hospital and see a doctor, have tests or x-rays done, or see a specialist. They pay 100% of the Medicare fee if you go to a doctor. You pay the gap if the doctor charges more than Medicare. They pay 85% of the Medicare fee for blood tests (“pathology”) or x-rays (“diagnostic imaging”). They pay for an MRI if you have a referral from a doctor. They pay 100% of prosthetic devices on a list approved by the government. They pay 100% of ambulance fees. With nib OSHC insurance, you can apply and receive your OSHC Confirmation Certificate in just 5 minutes. The inclusions above represent a selection of what is covered. Additional conditions may apply to different features. Please ensure that you read the product disclosure statement (PDS) to determine all the policy options and inclusions for the insurance policy you are considering. nib began in 1952 and provides health insurance to more than 1 million people in Australia and New Zealand as of 2015, making nib one of Australia’s largest health insurers. 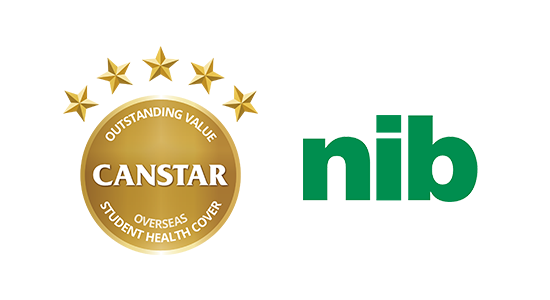 Health insurance from nib has won many CANSTAR 5-star ratings and awards for health insurance over the years, and they also offer life insurance and travel insurance. You can make a claim on your health insurance online or using the nib mobile app (available on the Apple iTunes Store and Google Play for Android). Simply taking a photo of your receipt on your phone and send it to nib with the app or online on your computer. You can also update your policy’s details or request a statement with the app or online. In 2013, nib launched Whitecoat, a search and comparison website for medical services, designed to help Australian consumers find a good Extras healthcare provide. Then in 2014, nib launched Options, a cosmetic surgery and dental service offering treatment from highly reputable clinical specialists in accredited facilities both in Australia and overseas. nib supports the community through the nib Foundation. Established in 2008, nib Foundation have contributed over $15 million to fund over 95 Australian charity partners tackling important health issues as of the 2016 annual report. In addition, the nib Foundation established the MAD (Make A Difference) Committee, a dedicated workplace fundraising program supporting 40 charities. nib also promotes health and fitness by sponsoring sports teams and facilities including the State of Origin NSW Blues rugby league team, Newcastle Knights (rugby league), Geelong Cats (AFL), Perth nib Stadium, and the Hunter Academy of Sport nib Festival of Sport. The inclusions mentioned represent a selection of what is covered at the time of writing. Additional terms and conditions may apply to different features. Additional fees may apply to the product. CANSTAR is not making any suggestion or recommendation to you about this product. Please ensure that you read the product disclosure statement (PDS) to determine all the current options and inclusions for the product you are considering. CANSTAR is an information provider and in giving you product information CANSTAR is not making any suggestion or recommendation about a particular insurance product. If you decided to apply for an insurance policy, you will deal directly with an insurance provider, and not with CANSTAR. Premiums, coverage, benefit limits, and product information should be confirmed with the relevant insurance provider. For more information, read our detailed disclosure and our Financial Services and Credit Guide. The table below displays a snapshot of five overseas student health cover on Canstar’s database, sorted by star ratings ( highest to lowest). These results are based on a 1 year study visa in New South Wales. Canstar’s database lists only one product from this provider. Canstar is not recommending this product nor providing you with financial advice by displaying it to you. Products displayed above that are not “Sponsored” are sorted by Star Rating and then alphabetically by company. Canstar may receive a fee for referral of leads from these products. See How We Get Paid for further information. If you decide to apply for health insurance, you will deal directly with an insurance provider, and not with CANSTAR. Consider the provider’s detailed product and pricing information before making a decision to purchase a policy. The products displayed on this page do not include all providers and may not compare all features relevant to you. View the Canstar Overseas Student Health Cover Star Ratings Methodology and Report. The rating shown is only one factor to take into account when considering products. The Star Ratings in this table were awarded in March, 2017 and data is as at that date, updated from time to time to reflect product changes notified to us by product issuers. 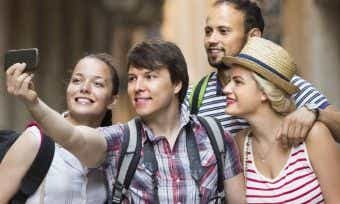 What's not covered by Overseas Student Health Insurance?